134 Million MPH! A new plan to reach to Alpha Centauri! 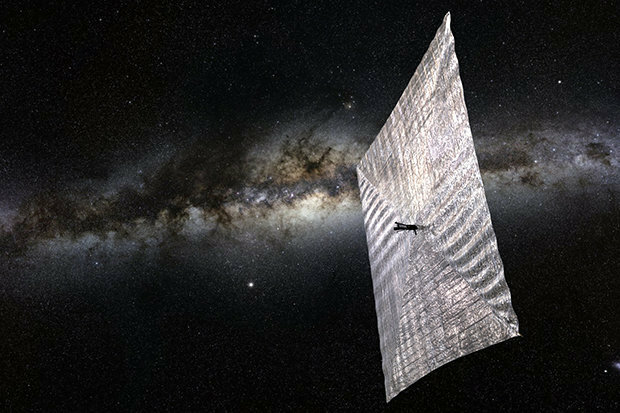 Before man can cross the immense distances of space, the designs of spacecraft's sails will be the answer – striking a fine balance between mass, strength and reflectivity. Working with NASA, California Institute of Technology (Caltech) scientists have created the new material out of silicon and its oxide, silica. 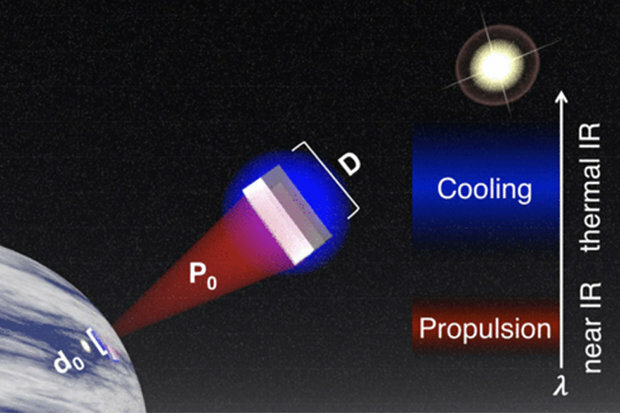 The caltech team has figured out that super-thin structures made of this compound can transform infrared light waves into a momentum that would accelerate a probe to 134,000,000 mph. Speeds like this can carry a small probe to our closest planets and stars, a huddle of stars called Proxima centauri, within decades rather than millennia. 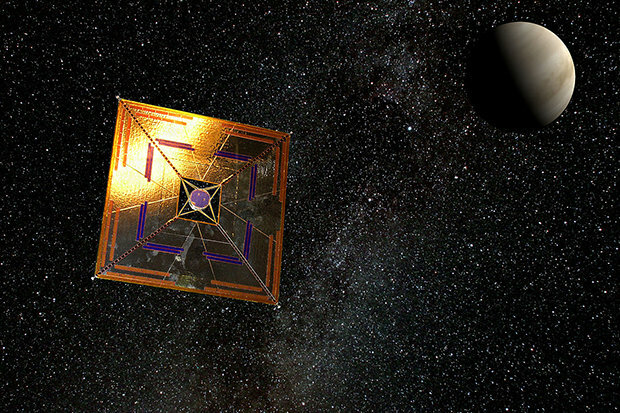 And it will allow humans to search nearby solar systems for alien life. The Caltech engineers are exploiting the inactivity of photons to reach the astronomical speeds required to cover big distances in comparatively short amounts of time. Unlike thick air molecules, light doesn't have a resting mass, so it doesn't “blow” in the same way wind does. But flying photons still pack a punch by exerting pressure via their momentum, according to Maxwell's equations on electromagnetic radiation. The idea is to use a laser to coherently shoot a stream of photons at infrared wavelengths at a “light net”, or sail, attached to a spaceship. Even for small objects that would mean casting a big sail, which in turn means adding more mass. So this sail needs to be as light as possible, which could make it vulnerable to easy damage. By turning to nanomaterials, engineers have the advantage of twisting the way light is absorbed and released, allowing them to fine-tune the delicate balance of catching enough light to build up speed without overheating.